Screaming Bee has just released two premium background packs for MorphVOX Pro. These new packs add auditory ambience to MorphVOX, allowing users to disguise their apparent location. City Backgrounds will provide six urban backdrops to your instant messaging or VoIP communication. Now you can sound like you are at the airport, the bus station, or the amusement park. Nature Backgrounds will transport you to six new outdoor locations. Sound like you are at the beach, the jungle, in the rain, or underwater and more. 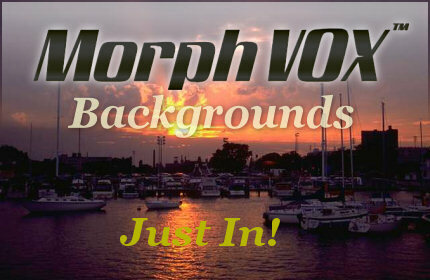 All background packs require MorphVOX Pro Version 3.0 or higher to run. Premium packs are currently on sale for $5.95. For more information about backgrounds click here.